Picture a Day - The Holy Land Revealed: The Great and Electrifying Pinchas Ruttenberg. Who? The Great and Electrifying Pinchas Ruttenberg. Who? In the pantheon of Zionist and Israeli historical heroes several names stand out -- Herzl, Ben-Gurion, Weizmann, Ben-Yehuda, Jabotinsky. Missing from that list is Pinchas Ruttenberg. Pinchas Who? Ruttenberg. The Russian revolutionary who ran with the likes of Lenin and Trotsky, a prisoner of the Bolsheviks who immigrated to Palestine in 1919, co-founder of the Haganah defense forces, and and founder of the Palestine Electric Corporation in 1923 who established electric plants across Palestine. And a man relatively unknown. confluence of the Jordan and Yarmuk Rivers (circa 1932). In the early 1920s Ruttenberg joined with Zev Jabotinsky to form the "Haganah" Jewish self-defense militia to protect Jews in Palestine. When Jabotinsky was arrested in 1920 for defending Jews in Jeusalem, Ruttenberg took command. In the 1921 Arab riots Ruttenberg commanded the militia in Tel Aviv. 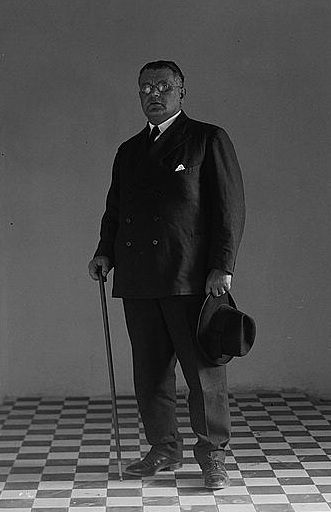 In 1923 Ruttenberg founded the Palestine Electric Corporation, securing financial support for his electrification plans from the wealthy Rothschild family and political support from British Colonial Secretary Winston Churchill. 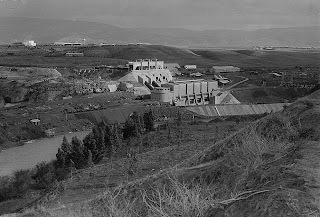 Ruttenberg's pilot project, launched in 1927, was a power plant at Naharayim at the confluence of the Jordan and Yarmuk Rivers. 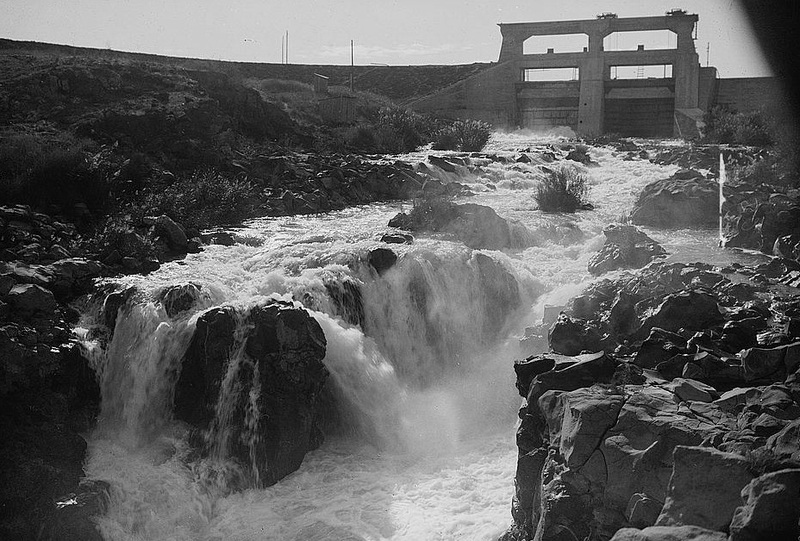 The land was located on the Transjordan side of the rivers, and the construction was carried out with the approval and assistance of Emir Abdullah. Security cooperation between the Arab Legion and Ruttenberg's security force (to protect both the plants and the power lines) was vital in protecting the building project during the 1929 Arab riots in Palestine. The Hashemite ruler attended the inauguration of the power plant. 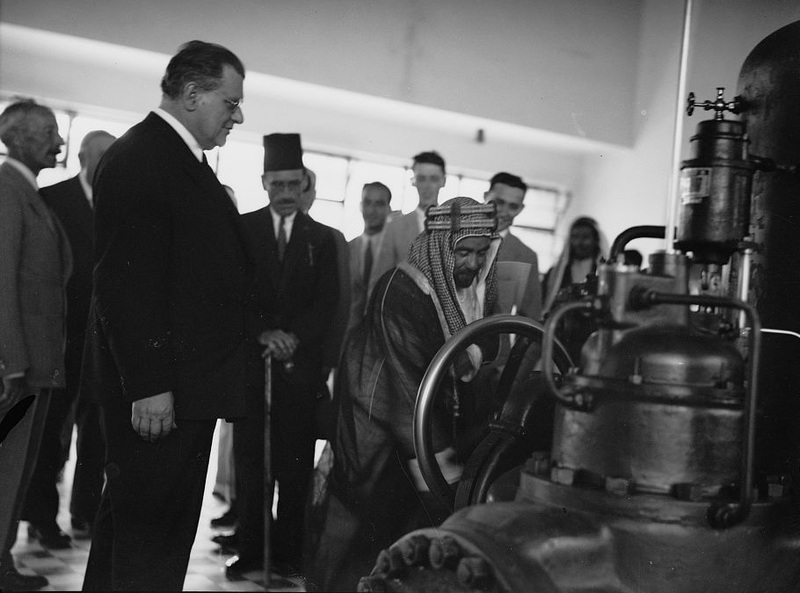 On the eve of the 1948 war, Abdullah met with the Jewish Agency's Golda Meir at Naharayim to explore avoiding hostilities, but to no avail. 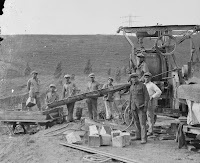 Ruttenberg's company would go on to build power plants in Haifa and Tel Aviv, and the Palestine Electric Company would eventually become the Israel Electric Company. During the 1948 war Ruttenberg's security forces were integrated into the Haganah. But the Naharayim power plant, located just across the frontier in Transjordan, was overrun by the Jordanian Legion and ceased operation. 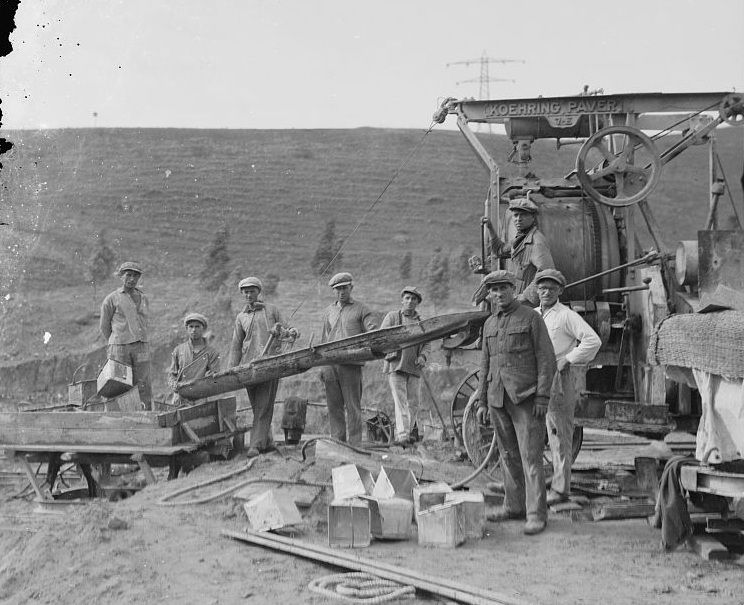 The power company lost almost one-quarter of its output until the Tel Aviv and Haifa plants came on-line. After the signing of the Israel-Jordan peace treaty in 1994, the grounds of the Naharayim facility were converted to the "Peace Island" park, a symbol of coexistence between the two countries. In 1997, a Jordanian soldier opened fire on a group of Israeli school girls visiting the Naharayim Peace Island, killing seven. Many Israelis will never forget the image of King Hussein of Jordan, Emir Abdullah's grandson, visiting the girls' grieving families in Beit Shemesh to express his condolences. Click on a picture to enlarge. Click on a caption to view the original picture in the Library of Congress collection. Have you subscribed to Israel Daily Picture? Type your email in the box in the right sidebar. It's free! 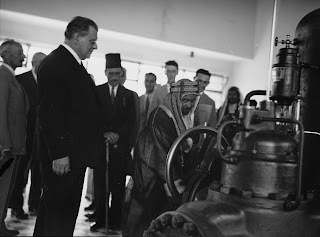 Following the opening of the Naharaim hydro-electrical plant by Pinchas Ruttenberg, the Emir Abdullah gave him as a present a large hand embroidered Hashemite (Bedouin) hospitality tent. The tent was put at the "Imahut" maternity Hospital in Haifa amongst the pine trees in the hospitals garden. The magnificent tent served for many years as the place in which 'Britot" were done and Kiddush was served, as well as celebration of births and staff parties. Many of Haifa's children born between 1950 – 1960 may were born in "Imahut" were Dr. Shapira (Spira) was the chief doctor. Following the death of Dr. Ruttenberg in 1960 the hospital was closed down and the tent was sold. According to my information it was bought by Rafi Neleson who took it to Eilat where he opened his famous beach club, anmd following 1967 was in Raffi's beach in Taba. The rumors are that the tent was burnt down when filming a movie with Peter Ustinov form the heat of the projectors and weather. The remains of the tent may have been framed and kept by family and friends of Raffi nelson. It would be interesting to see if any of the readers has pictures of the Tent or knows the true story of it's whereabouts.